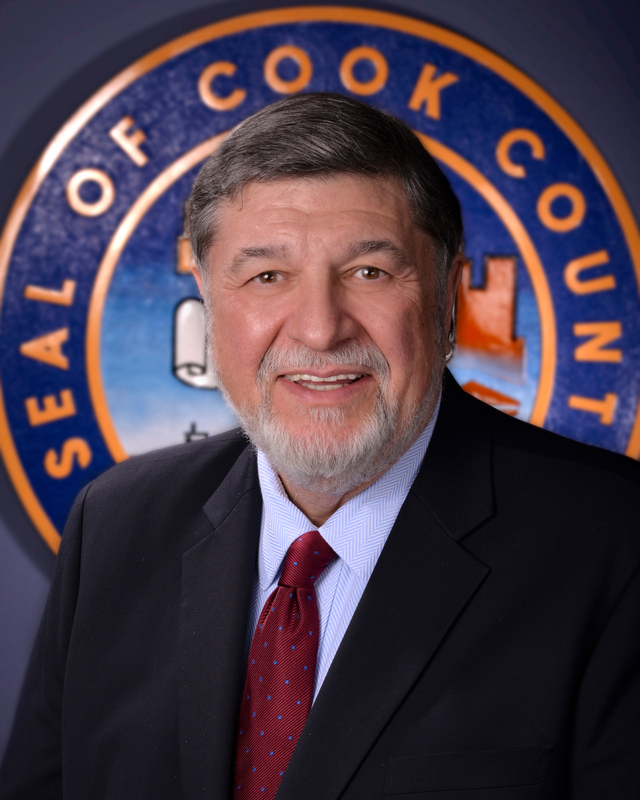 Cook County Commissioner Larry Suffredin is set to introduce a resolution, at today’s (Wednesday) Cook County Board meeting, concerned with environmental impacts on the Des Plaines River watershed from the proposed Foxconn manufacturing plant in Wisconsin. Foxconn, a Chinese manufacturer of electronics, computer and cell phone components, is planning to build a $10 billion manufacturing plant in Mount Pleasant, Wisconsin, 50 miles north of Cook County, near Racine. The plant would reportedly divert 7 million gallons of Lake Michigan water a day, potentially impacting wastewater flow into the Des Plaines watershed. The Des Plaines watershed includes the Des Plaines and Chicago rivers, which flow through Chicago’s North and Northwest suburbs. Suffredin’s resolution calls on the state of Wisconsin and the U.S. Environmental Protection Agency to require Foxconn adhere to typical state and federal environmental standards, without waivers. Both Wisconsin and the EPA granted environmental waivers to Foxconn for the proposed Wisconsin plant. Suffredin’s resolution says adopted Wisconsin legislation allows “Foxconn to fill 26 acres of wetlands with dredged materials without an Environmental Impact Study or input from the U.S. Army Corps of Engineers.” The resolution says there is no stormwater management plan associated with the project. If adopted, copies of the resolution would be sent to governors Bruce Rauner (R-IL) and Scott Walker (R-WI), Illinois Attorney General Lisa Madigan, the Illinois EPA, top U.S. EPA officials in Washington, D.C., top U.S. EPA Region 5 administrators (Region 5 includes Midwestern states) and the Wisconsin Dept. of Natural Resources. Brian Miller, Suffredin’s chief of staff, said the resolution would likely be sent to the county’s Legislative and Intergovernmental Affairs Committee, which Suffredin chairs, at Wednesday’s meeting before being brought back to either the full county board on, or around, the county board’s Wednesday, July 25 meeting. 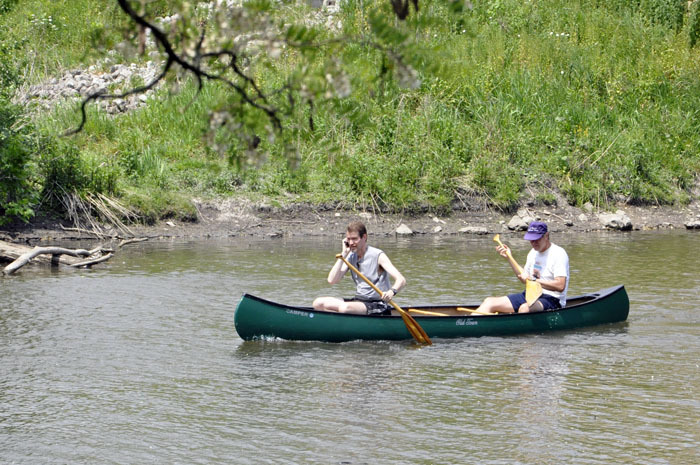 A canoer takes a break to take a call while traveling along the Des Plaines river during the 55th Des Plaines Canoe & Kayaking Marathon in 2012, the nations second longest running canoe & kayaking marathon. Earlier this month, Lake County officials adopted a similar resolution concerned with environmental impacts from the proposed Foxconn plant. State senators Laura Murphy (D-28th) and Julie Morrison (D-29th) saw through an Illinois State Senate resolution they co-sponsored expressing concerns about environmental impacts from the Foxconn plant in late May. Suffredin represents parts of Niles and Glenview in the Journal-area. Meanwhile, heavy rains in the last week dumped an estimated 1-3 inches on the Northwest suburbs. The Des Plaines River near Des Plaines rose to minor flood stage (over 15 ft.) last Friday night. At the same time, the North Branch of the Chicago River near Niles had also risen to a level 5-ft. above normal. The river levels eventually began to go down, but more rain was in the forecast for this week.